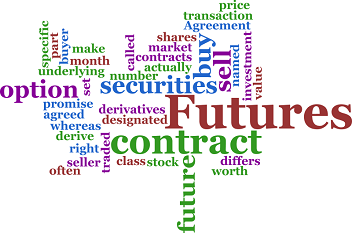 Futures and options (F&O) are the two types of derivatives that are commonly traded in the market. Futures and options (F&O) are the two types of derivatives that are commonly traded in the market. These financial instruments are bought and sold in the market similar to shares. The value of derivatives is derived from their underlying asset. NSE included 15 and 16 securities to the F&O segment from April and May series, respectively. Five more stocks were included in the June series. The total number of securities in F&O segment is now over 200, as reported in a national news portal. According to market analysts the sharp rise in the market, especially in the mid and small-cap segment, have enabled many stocks to meet the criteria for inclusion in the F&O segment. Top 500 stocks are eligible to be included in the F&O segment. It is based on the average daily market capitalisation and average daily traded value in the previous six months on a rolling basis. The stock's median quarter sigma-size (average of median buying and selling price) should not be less than Rs 10 lakh. The market-wide position limit in the stock should not be less than Rs 300 crore. Stock exchanges stop issuing fresh contracts for a particular security if it fails to meet the eligibility criteria for three consecutive months. The stock will not be considered for re-inclusion for one year if it is excluded from the list of F&O securities. For the re-inclusion, the stock should meet the eligibility requirements for three consecutive months.